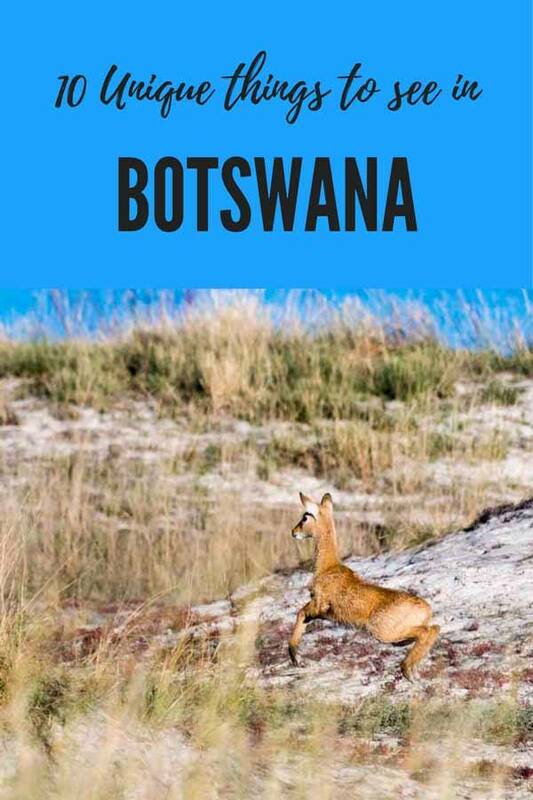 Back to Africa – here we share with you our Botswana overland itinerary, perfect if you’re spending a week in the country or travelling onwards to Vic Falls! After having told you all there is to know about road tripping South Africa, here’s our experience checking out the top things to do in Botswana! Ever since we started planning our dream three month trip to Southern Africa, we both agreed on one thing – we would visit Botswana. That was non-negotiable. 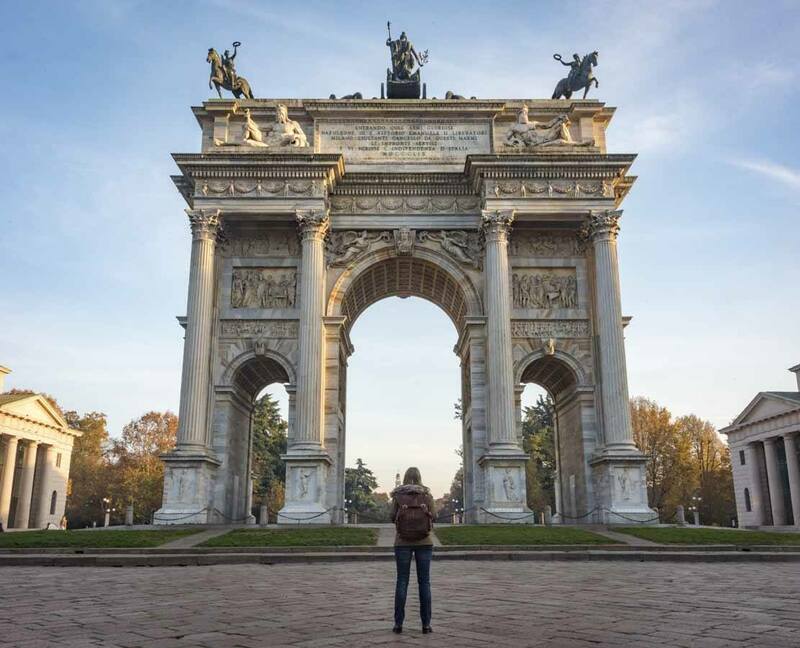 We’d heard to many amazing things about the country, its commitments to ecotourism ever since ecotourism wasn’t even a thing, its wonderful nature and spectacular wildlife-watching opportunities, that we simply couldn’t miss it. As a result, we decided to spend a week in Botswana after our two-week overland Namibia safari with Wild Dog. The company also runs overland tours of Botswana, so the easiest solution for us was to stay with Wild Dog, and join their 9 day Delta and Falls safari, including a week in Botswana, checking out some of the main tourist attractions, plus two days at the spectacular Victoria Falls. Reasons to visit Botswana – Ecotourism! 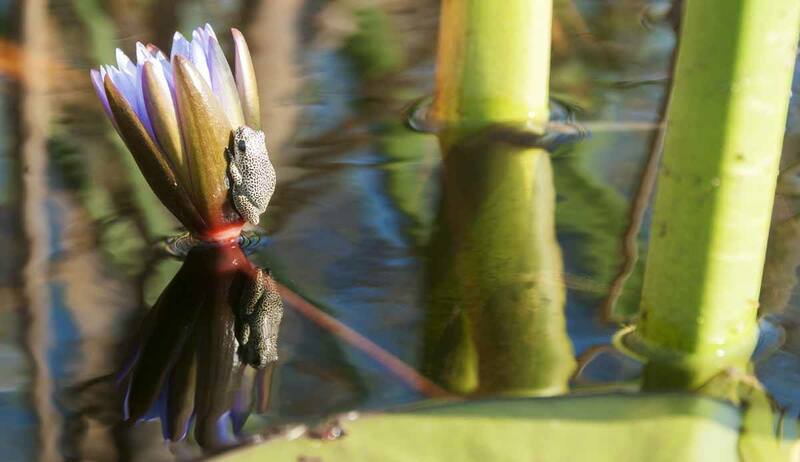 Mokoro safari in the Okavango Delta, one of the iconic things to do in Botswana! Botswana is a very different country compared to Namibia, where we had spent the two previous weeks. Namibia is almost completely covered in deserts, whereas Botswana is a lot more varied – there’s desert, savannah, wetlands, rocky hills, and two of the most spectacular tourist attractions in Southern Africa – the Chobe River and Okavango Delta. Yet, we didn’t decide to visit Botswana just for the sights. Our main reason to visit was that Botswana has a strong, genuine commitment to nature and conservation – thanks to ecotourism, Botswana was able to transform itself from one of the poorest countries in Africa to a place with a booming middle class and a GDP that grows year by year. 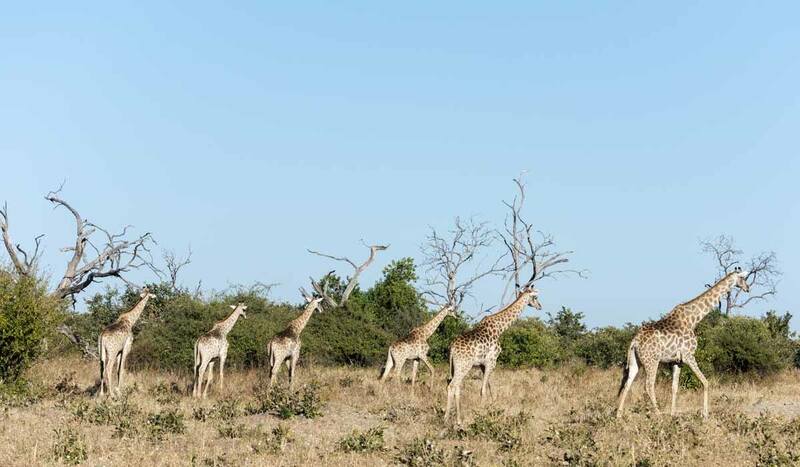 Currently, ecotourism is the second contributor to the local economy, just under the diamond industry, and the importance of ecotourism in the economy of Botswana is forecasted to keep growing. In 2002, the country adopted an innovative ecotourism strategy, with the aim of conserving Botswana’s nature and wildlife – currently, 38% of the country’s territory is protected for conservation, and Botswana’s anti poaching measures are the most effective by far in Southern Africa. Oh hello elephants! You’ll see lots in Botswana! There’s only one little issue – Botswana is expensive. 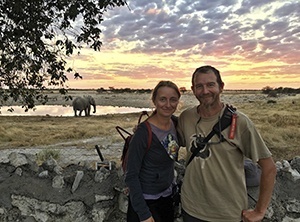 The preferred ecotourism model in Botswana is that of low-impact luxury lodges, many of which are solar-powered and recycle their own grey water. You know those dreamy African tented safari camps, where you can enjoy sundowners on the deck of your very own luxury tent with elephants grazing in the bush within walking distance? This is Botswana. Sounds amazing, right? But fear not – you can still visit Botswana even on a reasonable budget. Many lodges also have a campsite, and if you opt for a Botswana itinerary with an overland company like Wild Dog, camping fees and equipment are included in the trip cost, and you can have an amazing time without breaking the bank. 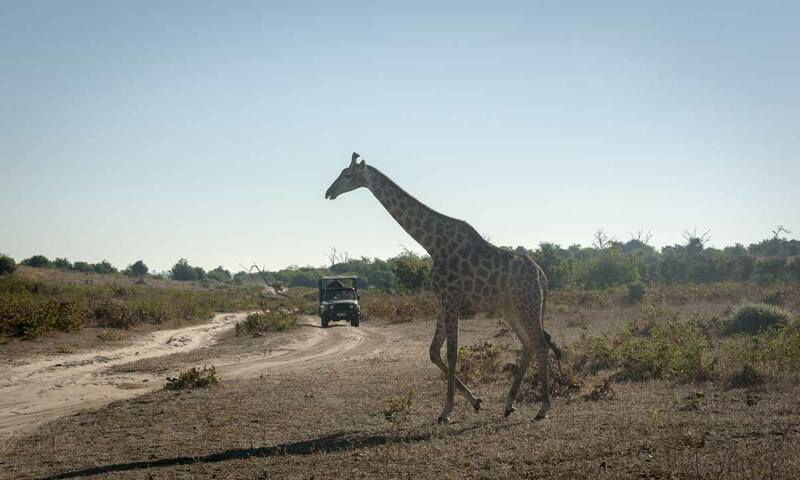 This safari didn’t break the bank – only $30 in Chobe for a morning game drive! Alternatively, you can self drive Botswana – you can also rent a car in Namibia or South Africa, and take it across the Botswana border. Make sure you inform your rental car agency in advance, as paperwork will need to be prepared. There are several excellent hostels in Botswana that come highly recommended – Old Bridge in Maun and Waterlily Lodge in Kasane are just two examples. Our Botswana overland safari actually began in the Namibian capital, where we met the rest of the group at the Wild Dog headquarters and started driving east towards the border with Botswana. We stopped to get supplies in the Namibian city of Gobabis and shortly afterwards we crossed the Botswana border at the Buitepos post. The border crossing was hassle-free, as Wild Dog staff took care of all the necessary paperwork. In May 2017 Botswana introduced a $30 tourist tax to fund conservation projects throughout the country, but even though we visited in late June, we weren’t charged anything. As soon as we crossed the border with Botswana, we noticed a big difference – there are no fences between the road and private property, and it is not uncommon to see animals on the road. We spent the rest of the day driving through the Kalahari desert to Dqae Qare San Lodge near the town of Ghanzi, where we spent our first night in Botswana. Accommodation – Dqae Qare is a bush lodge run by the San people, also known as the Bushmen. 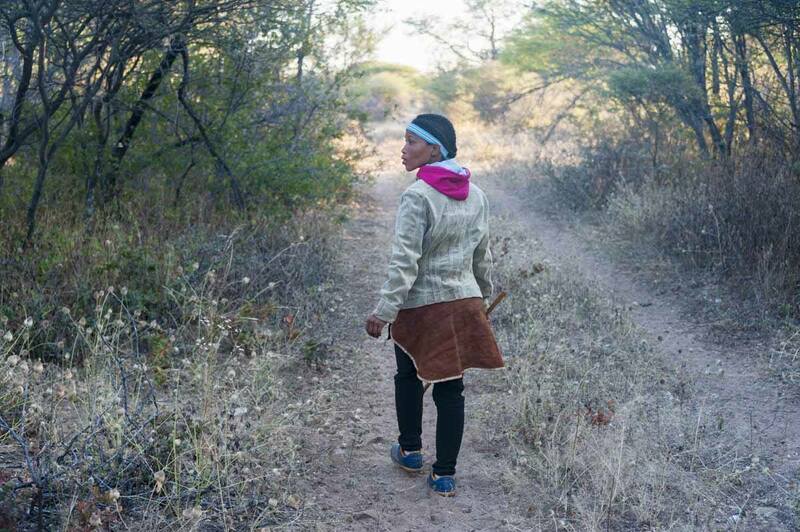 The lodge provides employment and empowerment opportunities for the San people from nearby villages, who traditionally occupy the lowest rung in the social ladder. We spent the night singing and dancing around the bushfire, listening to traditional San bush stories. We couldn’t have hoped for a better welcome to Botswana. We spent the morning enjoying a bushwalk with San guides, learning about their traditional hunting-gathering lifestyle while hoping to get a glimpse of some wildlife – but we only managed to spot some impala. The rest of the day was spent driving to the Okavango Delta, Botswana’s main tourist attraction. 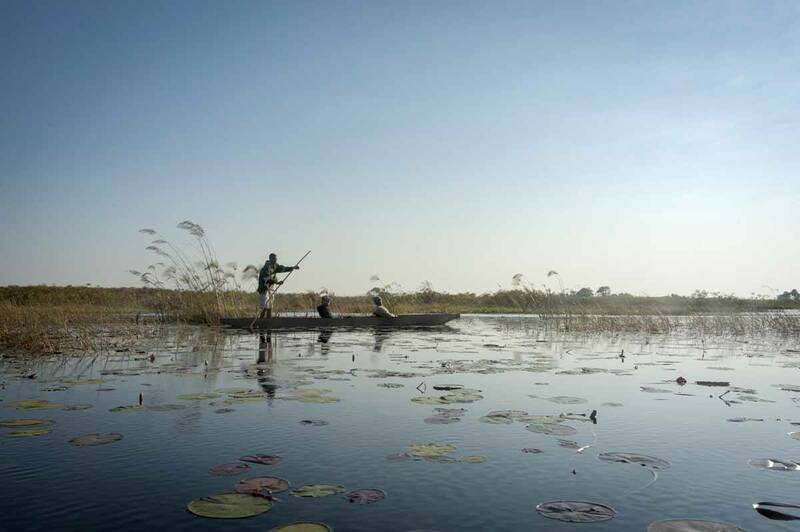 The Okavango river has its source in the mountains of Angola and inches its way into Botswana, making for the Indian Ocean, before coming onto a halt in the middle of the Kalahari desert, and creating the world’s largest inland delta. The Okavango Delta looks like an upturned fan, with a ‘handle’ pointing northwest – this is the so-called Okavango Panhandle, Botswana’s best birdwatching location. Accommodation – Guma Lagoon, a birdwatching and fly-fishing lodge located in the northwestern corner of the Delta, right where the Panhandle meets the delta ‘proper’. We spent a full day touring the Okavango Delta, definitely one of the main things to do in Botswana! 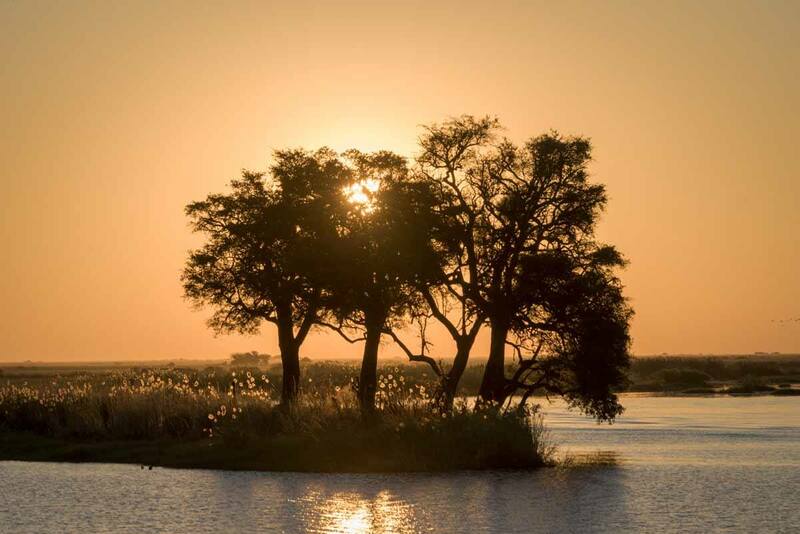 The dry desert territory that dominates Namibia and Southern Botswana changes into a world of lagoons, canals and wetlands as soon as you reach the Okavango Delta – a welcome change, after weeks surrounded by rocks and sands. 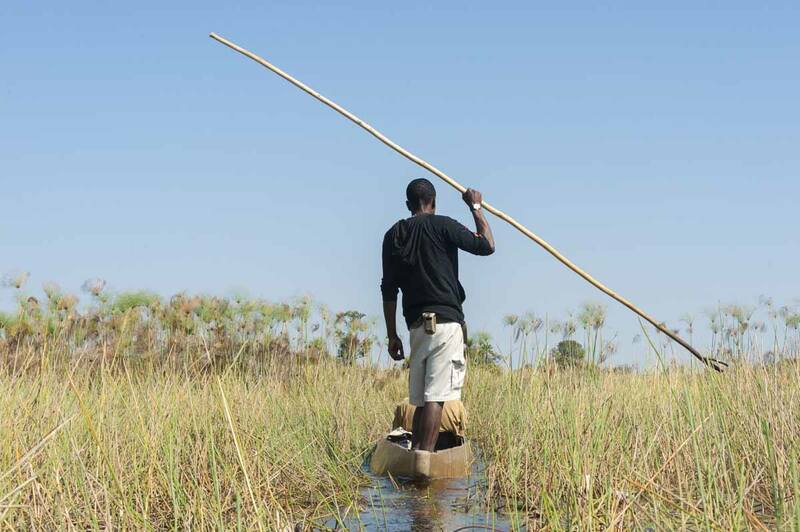 Mokoro safari are the main tourist activity in the Okavango Delta – mokoro are traditional dugout canoes, the best way to negotiate the narrow delta channels, fringed by papyrus reeds, along which you’ll see huge crocodiles basking in the sun. There are excellent opportunities for wildlife-watching in the Okavango Delta, with the Big 5 frequently spotted. 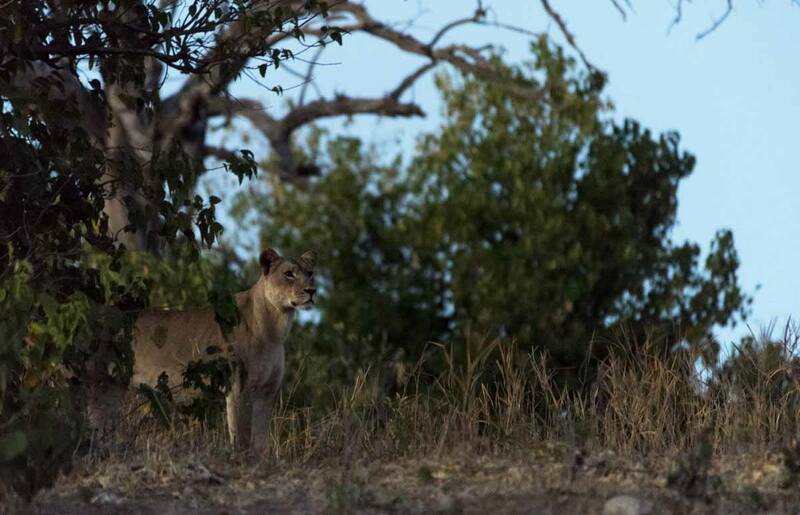 The southern section, around Maun and the Moremi nature reserve, offers the best opportunities – as much as we loved touring the Delta by mokoro, we saw next to no wildlife, and if we were to visit again, we’d definitely base ourselves further south. Another top thing to do in the Okavango is a helicopter or private plane flight over the Delta – we didn’t get the chance to do it this time around, but we will for sure next time! After our two days in the Delta we drove north and had a short pit stop across the Namibian border, in the Caprivi Strip – the strip of land reaching eastwards towards Zambia and Zimbabwe from the Namibian ‘mainland’. On the way, we had a short game drive in Mahango Game Park, part of Bwambwata National Park, one of Namibia’s most remote and least visited. 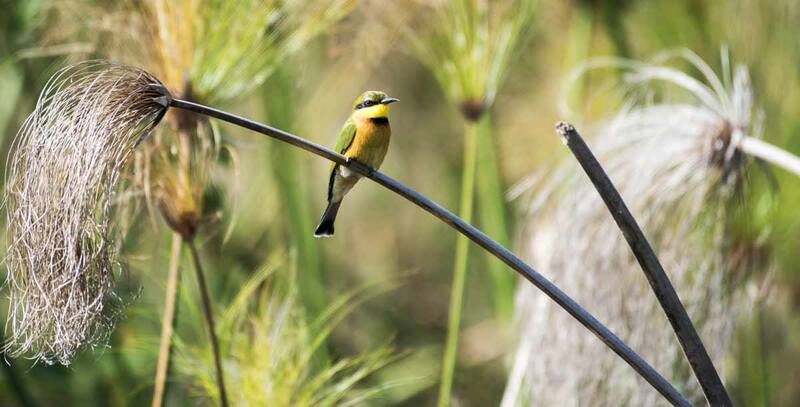 Botswana is great for birdwatching! We also passed the Tsodilo Hills, a sacred Bushmen rock painting site, some of which date back to over 20,000 years ago. There are paintings depicting traditional dances, hunting scenes and animals – another amazing thing to do in Botswana, if you have time. Accommodation – Camp Kwando, located in a spectacular position on the banks of the Kwando River. Our last place to see in Botswana was the spectacular Chobe National Park, a place where excellent wildlife-watching is pretty much guaranteed. The national park is massive, measuring 11,000 square km (half the size of Israel, to give you an idea) and it’s divided in three parts – we stayed in Chobe Riverfront, located along the Chobe River, one of the tributaries of the mighty Zambezi. Accommodation – Chobe Safari Lodge, an upscale hotel and lodge that also has a campsite, allowing you to enjoy top facilities while paying pennies! The lodge is also the departure point for game drives and sunset river safaris. We highly recommend spending at least one full day at Chobe National Park, more if possible! We started the day with a sunrise game drive and we saw lions, elephants, zebras, lots and lots of giraffes and even a honey badger! I don’t have pics of honey badgers but… here are elephants swimming! Chobe houses one of the healthiest elephant populations in Africa, and this becomes immediately clear as soon as you reach the national – there are elephants everywhere. You’ll see lone elderly elephants, huge elephant herds led by weathered matriarchs, teenage elephants mock-charging in the bush, tiny baby elephants… you name it. 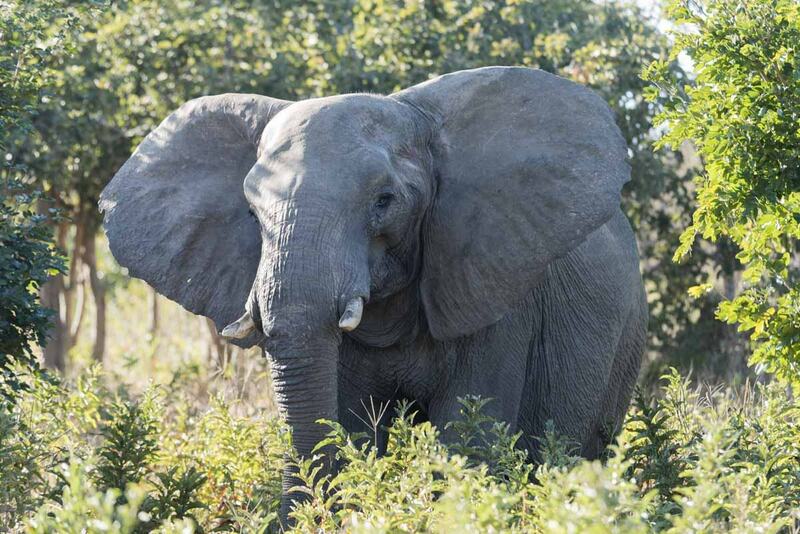 If you’re an elephant lover, put Chobe right at the top of your things to do in Botswana! Along the Chobe River you’ll see dozens of elephants, especially at sunset – the time when most river safaris are organised. Elephants gather to the riverbank to drink, and are often seen swimming across the river to reach the islands in its centre, where the softest grass can be found. During our river safari we also saw lots of hippos, crocs and various kinds of antelope, not to mention… a stunning sunset! From Kasane, the closest city to Chobe National Park, it’s just 10 km to the Zimbabwe/Zambia border at Kazungula, and 80 km in total to Victoria Falls. 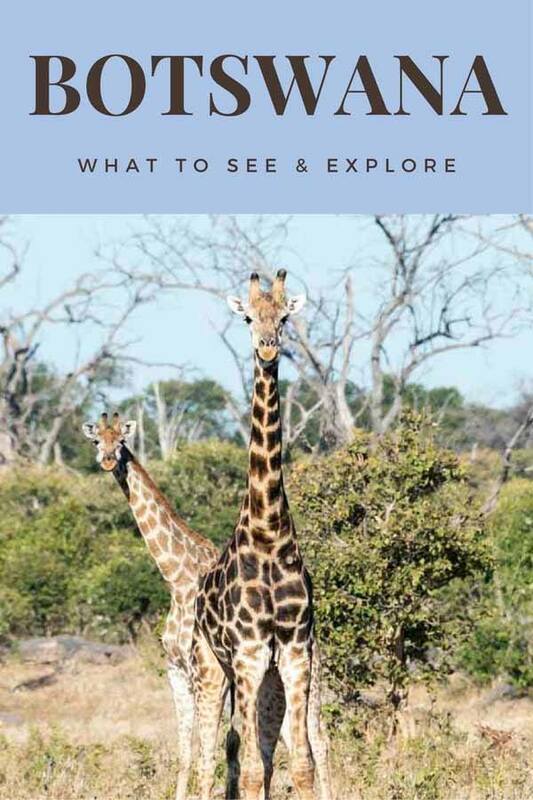 I have written a super complete Victoria Falls guide with info on how to get to Vic Falls from Botswana, where to stay, what to do and what to eat on the Zimbabwe and Zambia side – did I forget anything? 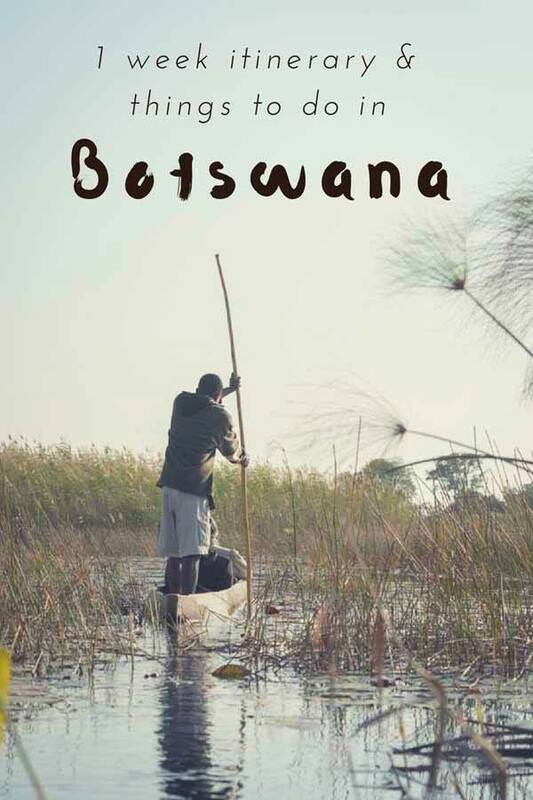 I’ve heard Botswana’s capital being defined as the most boring city on the planet, but I’d love to visit regardless to see the locations of the popular book and TV series The No. 1 Ladies’ Detective Agency by Alexander McCall-Smith! 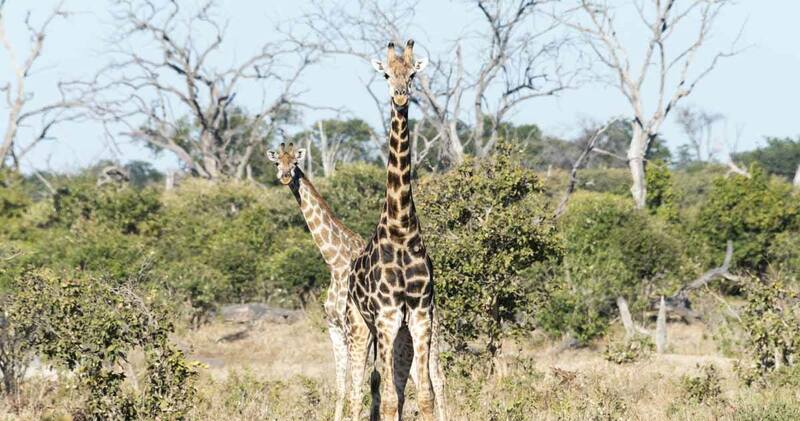 Other things to do in Gaborone include the Gaborone Game Reserve (a 600-hectare reserve inside the city! ), the spectacular Sanitas Garden Centre, the National Museum and Gallery and the Grand Palms Hotel, worth a visit for the gardens and for tea. 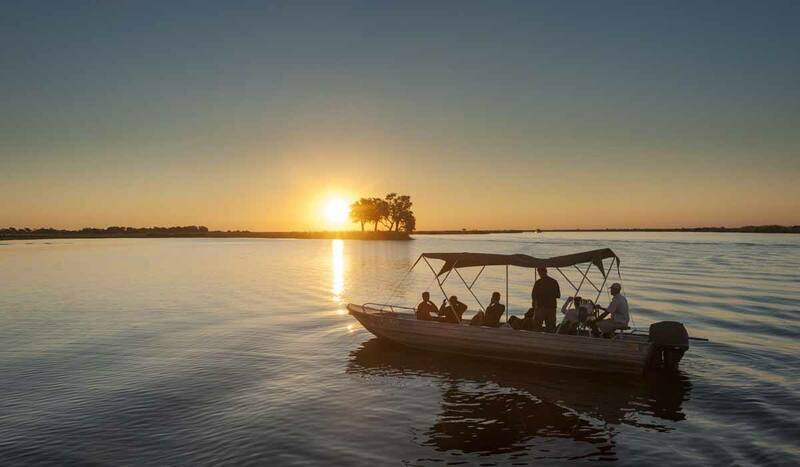 Chobe Riverfront is by far the most visited out of the three sections of Chobe National Park. Linyanti Wetlands is located further west and it is known for its large populations of elephants and big cats – yes, BIG CATS. 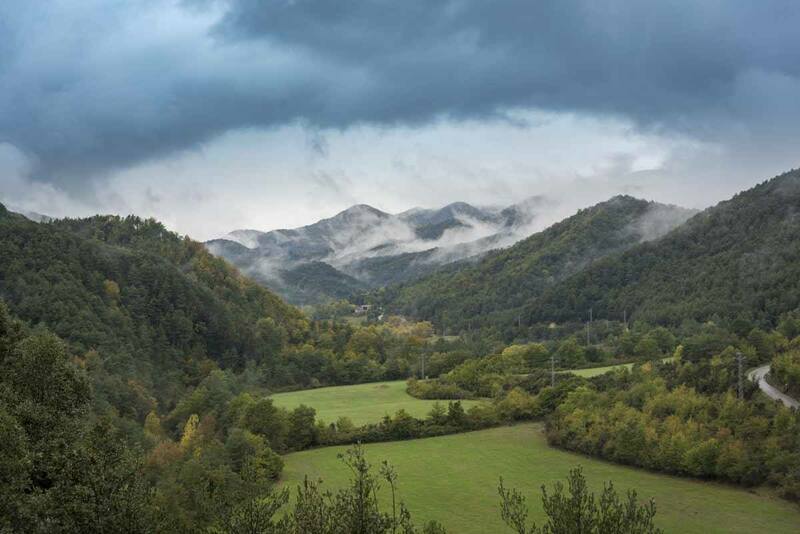 It’s the kind of place where you can camp under the stars surrounded by the sounds of nature. Take me back to Botswana, please! Lots and lots of hippos! 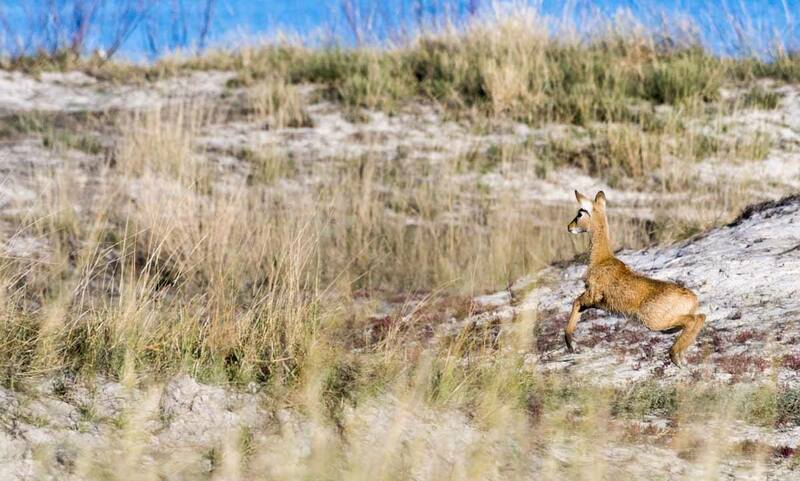 Kubu Island is one of the quirkiest and eeriest places to see in Botswana. It’s a baobab-filled island, surrounded by a dried out salt lake. 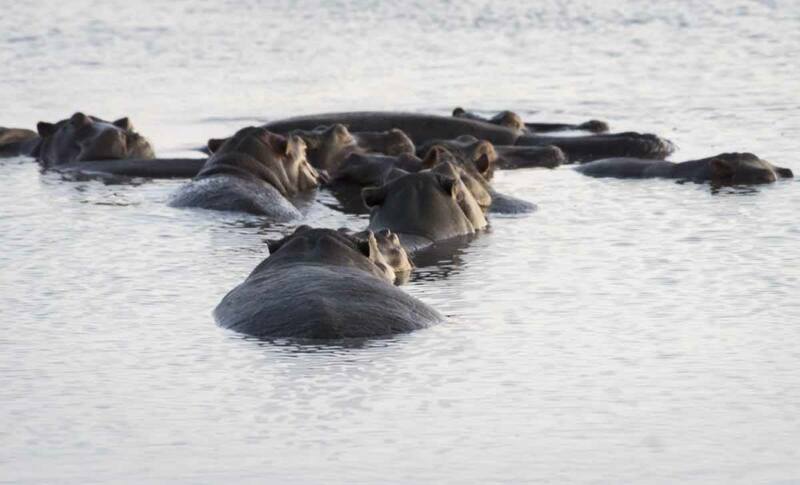 The name Kubu means hippo and dates back to the time when the lake still had water in it and it was inhabited by scores of hippos, while humans inhabited the island. Nowadays, Kubu is a sacred spot for local people, and it is still possible to see the remains of dry stone walls erected by the former island-dwellers. This is one of Botswana’s most off the beaten track things to do, a series of caves in the middle of the Kalahari, accessible only by 4×4 and housing spectacular stalactites and stalagmites, as well as thousands of bats. Lake Ngami is perhaps the most mysterious place to see in Botswana. When David Livingstone visited the area in 1849 he described visiting a beautiful shimmering lake full of birds and animals. The lake disappeared shortly afterwards, and reappeared at the end of the century. The lake kept appearing and disappearing all throughout the 20th century, and finally reappeared again in 2000. 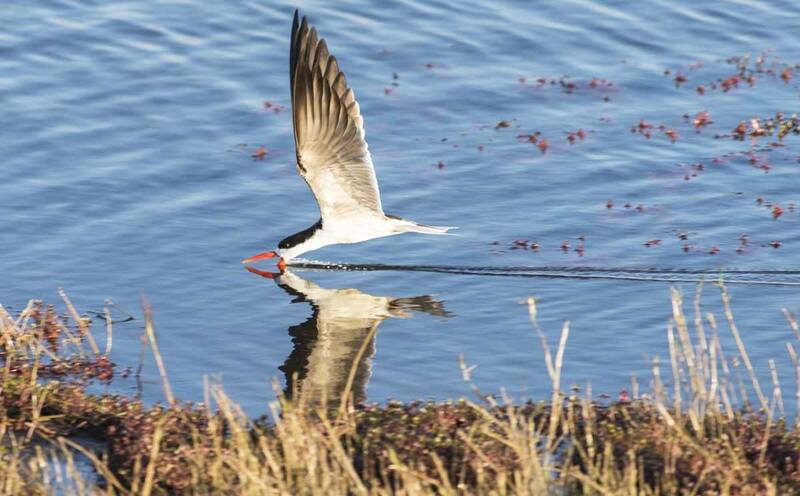 The lake is endorheic, meaning it only fills up after heavy rains or floods, attracting varied bird life including ibises, pelicans, flamingos, terns, gulls, eagles, kingfishers and storks, making it a close contender to the Okavango Panhandle for best bird destination in Botswana! This is one of the largest salt flats in the world, the remains of now dried out Lake Makgadikgadi. There’s little wildlife during the dry season, but the area springs to life after the rains, when the pans fill with water attracting lots of animals, including flamingos! 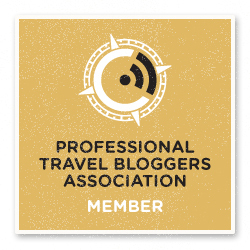 See you soon – back in Botswana! Many thanks to Wild Dog Safaris for welcoming us on their African Odyssey tour and showing us the best things to do in Botswana!